The Rio MMT-CB60 is a modern & stylish cantilever TV stand finished in black with black glass shelving. Designed with a large 1050mm wide base unit to give the unit great stability when holding large flat-screen televisions. 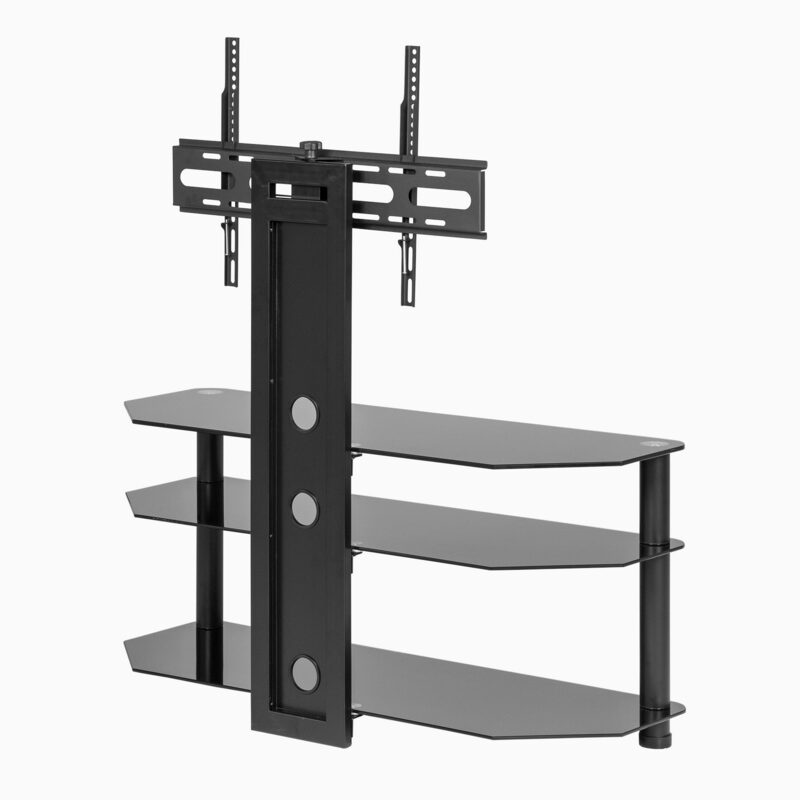 Comprising of a 3 shelf base unit and a rear extension pole to mount your flat screen television on, the MMT-CB60 offers the practicality of a traditional stand, coupled with the “on the wall” look that the VESA mounting bracket provides. All the fixings needed to mount a VESA compatible TV are supplied in the box, including a range of bolts, washers and spacers. The rear extension arm is made of strong aluminium and features tension rod construction for added stability. The extension arm doubles as a cable management system, helping to route and hide wires too and from the TV and AV equipment. Suits flat-screen TVs between 47" and 65"
This stand was easy to assemble it included all the necessary nuts bolts screwdriver and small spanner. Once assembled it looks fantastic!